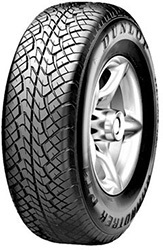 Designed to meet the growing demands for luxry and high end 4x4 tyres for on road use the Grandtrek PT1 does just that. It provides comfort and style whilst remaining uncompromising at high speeds and perfoming well in both wet and dry conditions. If you're looking for a high end SUV or 4x4 tyre this is for you.